An armed group killed her family when she was just nine months old. She was kidnapped and later dumped in a small village. This is not the plot to the latest Hollywood thriller, this story is about Isangi, one of only a few Grauer’s gorillas left in the Democratic Republic of the Congo (DRC). But luckily for Isangi, her story didn’t end there. She was rescued by staff from the Gorilla Rehabilitation and Conservation Education Center (GRACE) and now lives a safe and happy life at this sanctuary. This September 24th will mark the second year celebrating World Gorilla Day. Why did it take this long to honour such special and critically endangered animals, who also happen to share 98% of our DNA? It’s been nearly 55 years since Dian Fossey famously had her first encounter with a wild gorilla in the Virunga Mountains. Thanks to her remarkable work, citizens around the world know about Virunga’s majestic mountain gorillas. But most people have never heard of Grauer’s gorillas (Gorilla beringei graueri) – also known as eastern lowland gorillas. We certainly had not. In March of 2017, we were among a group of 24 young wildlife conservation leaders gathered in a classroom at the White Oak Conservation Foundation near Yulee, Florida. In that room we were first introduced to the issues surrounding Grauer’s gorillas and what GRACE is doing to help them. 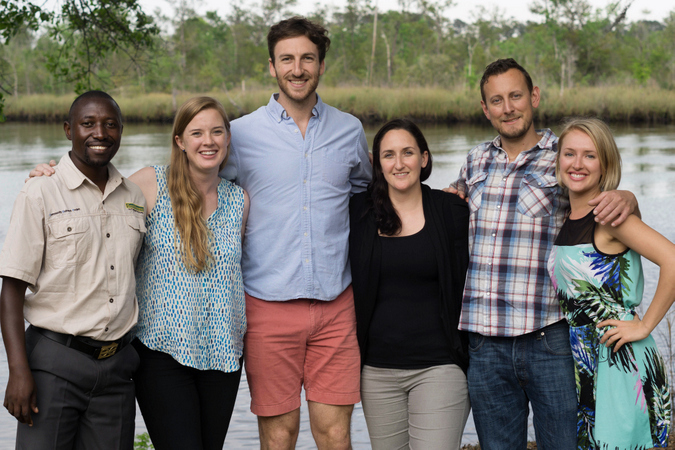 Earlier that year, each of us were selected by the Emerging Wildlife Conservation Leaders (EWCL) program to complete a two-year training in conservation campaigning, communication, monitoring effectiveness, and a real-life hands-on project with a wildlife nonprofit. The EWCL fellows hailed from all over the world – including the United States, Honduras, Rwanda, Kenya, and Zambia – and eventually divided ourselves into four teams to take on four unique projects. 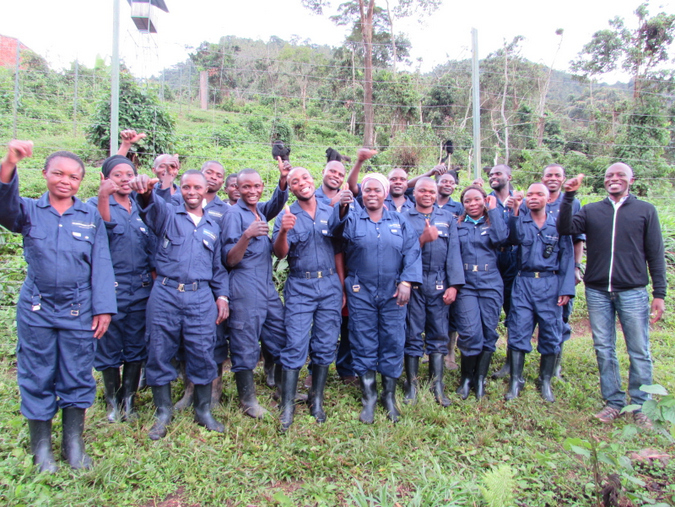 Each of us have a unique reason for why we chose to do our EWCL project with GRACE, and since we began this journey 18 months ago, we’ve learned a lot about Grauer’s gorillas. Only approximately 3,800 Grauer’s remain in the wild; that number has plummeted from nearly 17,000 in the early 1990s (source: IUCN Red List). Habitat destruction, poaching for bushmeat, and the illegal pet trade are the biggest threats to their conservation. GRACE is the world’s only facility dedicated to providing in situ rehabilitative care for orphaned Grauer’s gorillas. 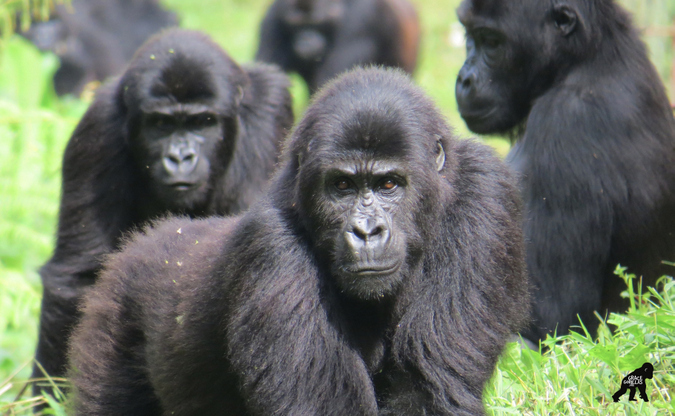 Fourteen orphaned gorillas now live in the GRACE facilities, which are run by a Congolese Director and staffed entirely by Congolese nationals. GRACE invites community leaders and schoolchildren to visit the gorillas, hosts youth conservation labs, and regularly broadcasts conservation-focused radio programming to nearly 40,000 listeners. Over the last two years, our EWCL team has worked with GRACE to research options to monitor some of the gorillas after their potential release back into the wild. 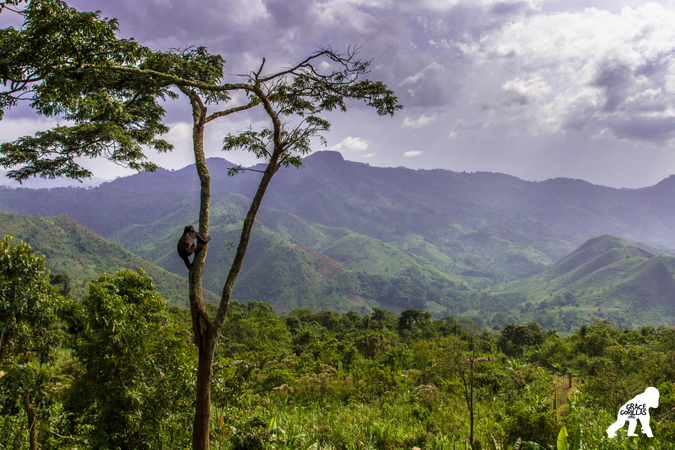 This is no small feat, especially given factors like dense coverage of the Congolese rainforests, the challenges of remote electronic monitoring, and safety considerations for trackers of wild gorillas. We’re also supporting GRACE with an awareness and fundraising campaign. Our campaign is focused around a virtual race – #Race4GRACE – in which we’re encouraging supporters to join by walking or jogging any distance, post their after-run selfie to social media using the hashtag #Race4GRACE, and to finish by donating on our Mighty Cause website by September 25th. We need your help. This World Gorilla Day we hope you will join us in honouring Isangi by celebrating GRACE! You can support the life-saving work of their staff in the DRC by joining the #Race4GRACE and donating at https://givingdayforapes.mightycause.com/story/Race4grace.